Eric Bailly was in the stands against West Ham and could have been forgiven for watching uncomfortably. Phil Jones and Marcos Rojo have had their fair share of criticism in recent seasons - not least on these pages - but in the absence of Bailly and Chris Smalling they are building a surprisingly good partnership. Both are putting their bodies on the line and are growing in stature, confidence and belief. Jones remains an unorthodox, old-school centre-back but he might just have the edge when Bailly returns. His sudden re-appearance at Swansea came in the absence of fit alternatives, but the fact that he is keeping Daley Blind on the bench, despite the Dutchman's reading of the game and range of passing, will do him wonders. It's easy to forget Jones is still only 24: indeed, he's spend so much time on the treatment table that it feels like he's been at the club for his entire career. Now injury free, he is enjoying his best run of successive games in almost five years and has reaped the rewards. Bailly will be going off to the African Cup of Nations and, with Jose's relationship with Smalling questionable, he may need to rely on Jones further. His stock is rising again after five successive 90 minute outings. Few would have expected such a run of impressive showings, even more so without Bailly, Smalling or Blind alongside him. 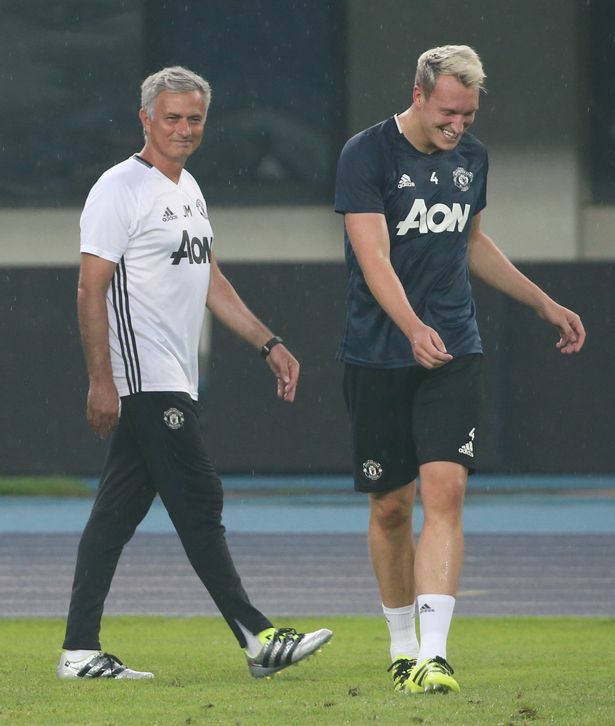 For all his criticism of his man-management of players like Luke Shaw and Henrikh Mkhitaryan, Jose is getting the best out of Jones. The same can be said of Rojo. I'm certainly not his biggest fan and have heaped criticism on him in the past so perhaps he deserves an apology. Hapless and haphazard under Van Gaal, he looked a lost cause when he continued to flop earlier this season under Jose but, credit where credit's due, he has been one of our most consistent performers of late. He had arguably his best game for us in a commanding and effective display in the League Cup win over City. to have improved under Mourinho, he is perhaps the most surprising of all. Signed by United because of his impressive consistency in the 2014 World Cup, Rojo is finally starting to reproduce that form. At this rate, Smalling and Bailly may find it hard to get their places back when they return. Jones and Rojo remain a relatively new partnership and may not be the long-term answer, but both players and manager can be pleased with how they are going at the back so far.